Those Repeating The Brendan Rodgers Racism Lie Are Now In Serious Legal Jeopardy. A number of newspaper outlets have moved swiftly to distance themselves from Show Racism The Red Card’s tweet of the other day, wherein they accused Brendan Rodgers of saying Shay Logan “brought it (racist abuse) upon himself.” A number, by the way, have actually given further weight to the allegation. This article should be read carefully by those who continue to suggest that Rodgers said this. Those who are quickly walking the other way, that’s probably smart. There were a couple of reasons for why those people are refuting the charge, and the first is purely and simply that they believe it’s a ridiculous allegation that the charity had no business making. Neil Cameron, who I thanked yesterday for his quick response to this, is one of those people and he followed it up today with a very fair and balanced article on the issue, which slammed Show Racism The Red Card Scotland in the clearest possible language. I commend him for the second day in a row. But don’t think that all these people leapt to Brendan’s defence out of altruism, because there’s clearly another reason here; the threat, ever looming, of legal consequences for anyone making such a slanderous statement in the first place. My information today is that all the people responsible for making that allegation, the organisations they work for and all of those who are repeating it – and that would include Sevco sites and blogs – are now in the gravest legal peril. I have been told that for the second time in a year, representatives of Celtic’s largest shareholder have let it be known that his full resources are available should the will exist for people in our club to seek legal redress for things said and done against them. The first time such legal might was offered to one of our employees was when Scott Sinclair was subjected to a vile attack at Glasgow Airport. The club made it known, and so did the man in Ireland, that it would give him all the support he wanted if he sought to pursue the matter further. Those responsible should be glad he did not. Brendan has now been offered the same protection. 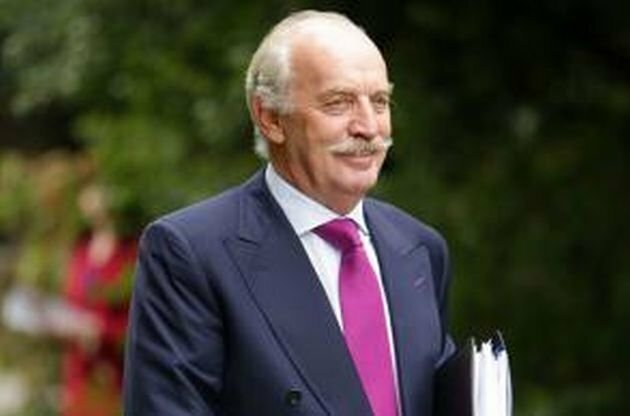 The exact quote I’ve been given is “the full legal weight” of the Dermot Desmond empire is available to our manager. It is not yet known whether or not Brendan will choose to avail himself of that option, but that it’s even on the table demonstrates how seriously our club and its leaders are taking this matter. Let’s be clear here; this is an issue of the gravest consequence and if people haven’t woken up to that fact yet I advise that they start to. No person in football can afford to have football’s anti-racist charity brand them in such a scandalous manner. If anyone thinks this issue will be allowed to rest they can forget it. Show Racism The Red Card has had 48 hours to retract that statement and apologise for it. Instead, yesterday, they released a second statement in which they tried to talk up their relationship with Celtic; I’ll tell you right now that Celtic is less than impressed and have noted the mealy-mouthed nature of that statement and its lack of any remorse for slandering our manager. I can also tell you that one of their staff has privately accused Celtic of not being committed to their anti-racism campaigns, saying that the club is the only one that has refused to send first team players to school’s events. That individual suggested that I write a blog about that; well, consider this my response. I hope that person is satisfied with it, although their bosses will probably not appreciate either the suggestion or that I took it up. Since Show Racism The Red Card Scotland sent out that tweet it has been republished in numerous national newspapers and by numerous members of the NUJ, some of whom should know better than to repeat such statements without doing their homework. In Scotland, libel is called defamation. Under the law, every person who repeats that allegation enhances the “reputational damage” done by it. The newspaper coverage of this matter, that which suggests Brendan did this, is documentary evidence that “reputational damage” has been done. In other words, all of them have strengthened Brendan’s case against Show Racism The Red Card Scotland, should he choose to pursue it. They have also placed themselves in harms way. A lot of people should be very concerned today, and that includes those of a Sevco persuasion who have absolutely no excuses and no hiding place as regards their own conduct, as Cameron and others have made it clear that Rodgers said nothing of the sort and that there is ample evidence of that. Ignorance is no defence in a defamation case and certainly not when it’s of the wilful variety. Everyone who has spread that lie is now in peril and all they can hope for is that Brendan Rodgers is a more forgiving man than others might have been in the same circumstances. Because this is an anti-racism charity involved in football, I would not put money on him letting it go. And whilst certain people ponder that they better ponder this; Dermot Desmond is a man who will sue at the drop of a hat if he believes he’s being slandered … and some of the coverage of the Murdoch MacLennan situation has already skated very close to the edge, and his lawyers are watching.